Use these valuable tips to serve as the perfect liaison between your child’s teacher, class parents and the PTA! 1. Meet with the teacher to clarify needs, preferences, and expectations for parent support. 2. Find out if there is an official school policy for gathering and releasing parent contact information. 3. Ask the teacher how he or she prefers to be contacted by you and by the other parents. 4. Compile a list of teacher favorites such as favorite snack, beverage, flower, restaurants, hobbies, and more similar information to aid in gift giving ideas. 5. Make a list of all food allergies that students in the class have and inform parents. 6. Build an annual calendar of all events and volunteer needs. It may be helpful to send out a list of activities, so parents know what to expect by the month. 7. Email a welcome letter to classroom parents and include your contact information, important dates, and instructions on how to sign up to volunteer. 8. Let the parents know the best way to reach you and how you plan on communicating with them – email, class blog or Facebook. 9. Send out a class roster to parents. Re-enforce that this list is for classroom related communication, not for personal or business use. 10. Publish information on multiple channels, so all parents see it – the class website, a paper handout, and via email. 11. Communicate classroom needs with a supply wish list and volunteer sign up schedule as requested by the teacher. With an online sign up, everyone can stay up to date on what is needed in real time. 12. 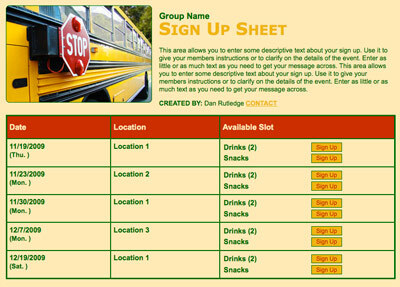 You may find it helpful to combine seasonal opportunities (like harvest party volunteers and fall field trip chaperones) into one sign up. Or, create two separate sign ups on the same account and send a link to the landing page. 13. Remember to copy your classroom teacher on all correspondence with parents unless it is something special for Teacher Appreciation Week or their birthday. 14. 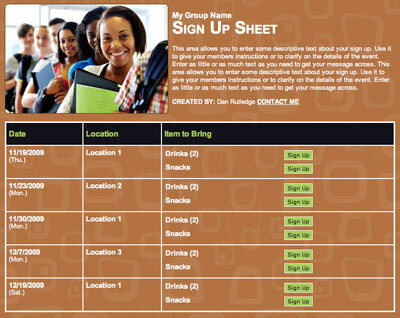 Send out group texts or email reminders to everyone to keep them up to date with party activities and classroom needs. 15. 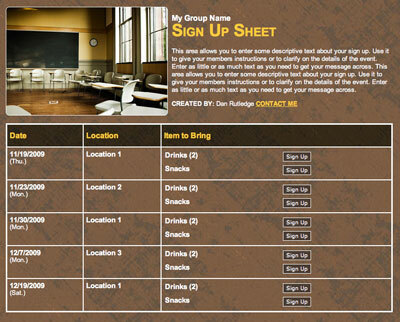 Check with your child’s teacher to see if you can help schedule events by creating one-time sign ups (i.e. parent conferences) or regular weekly volunteers sign ups (i.e. class readers). Organize Supply Wish Lists Easily!